Arsenal midfielder Lucas Torreira suffered an injury while representing his country at the ongoing international break. The Uruguayan who made a transfer from Sampdoria in the summer transfer window is now a doubt for the Gunners' upcoming Premier League fixture against Newcastle United. This is not good news for the fans who have longed to see more of Torreira as he is yet to start any of their four games in the ongoing campaign. So far, he has only made substitute appearances, something which has raised concern among fans. The 22-year-old was taken off his country's game against Mexico and was later seen with an ice pack on his leg. Uruguay won 4-1. 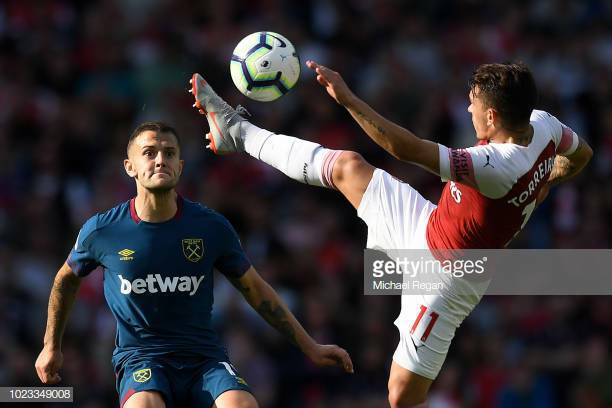 We wish Torreira a speedy recovery and hope the fitness issue he has is as minor as it has been made to seem.